2010-09-22 [//*Ghost*//]: then will you please tell me and why not? 2010-09-29 [HeAVenShallBuRN]: Did it work? 2011-01-21 [Enneigard Rebirth]: Updates on this site are 14 days apart. 2011-03-04 [mattyc]: to all the guards. i am sorry for my past but that was a long time ago, please can i have my profile back [footer] im really sorry. i have changed now. i dont do that stuff anymore. 2011-03-05 [HeAVenShallBuRN]: Getting married in june nad you still wanna hang here? you have no friends...the hell is wrong with you boyyo? Must be outta ye skull. 2011-03-05 [HeAVenShallBuRN]: LIke I said..outta ye skull, boyyo. 2011-03-05 [HeAVenShallBuRN]: IF i were married...I'd probably never come back? 2011-03-14 [HeAVenShallBuRN]: Ihsahn, can I report a banned member who has another account here? 2011-03-14 [Ihsahn]: sometimes the best way to defeat a troll is to not even give it recognition. 2011-03-14 [Ihsahn]: No he isn't, that is correct, I somewhat think it's a script or someone with the downs. 2011-03-14 [Ihsahn]: That or no real life, perhaps his only means of getting his lulz is by acting entirely like a child. 2011-03-14 [HeAVenShallBuRN]: Yes...maybe...but after I counter-trolled him...he stopped talking to me >> and that was...10 pages of messages ago XD like..two months maybe? 2011-03-14 [Ihsahn]: Then perhaps his comprehension skills are lacking. 2011-03-14 [HeAVenShallBuRN]: Yes....as you stated, sometimes to defeat one is to ignore them...yet sometimes on rare occasions...beat them at their own game. 2011-03-14 [Ihsahn]: Ya, although he should probably beat himself. profusely. 2011-03-14 [Ihsahn]: with floaties so he feels like he can swim. 2011-04-08 [Dinkie]: I need help can someone help me? 2011-04-08 [HeAVenShallBuRN]: I might be able to help >> whats the problem? please can you give [footer] aka matty another chance on here as he is missing this place a lot, he want to get back on here as he has been gone for a wihile now, please can you just give him another chance, as he is very sorry, he has said whats gone on and why he was banned, but that was a long time a go now, please. also [sammie h] has tried to get a profile on here and she is wanting to know why she has not yet been added. 2011-08-30 [Bookwyrm]: :D QUEEN OF THE WORLD. 2011-10-08 [djxmonster]: Although this wiki is better than your usual posts, please don't spam official pages :) Try the forum "To The Crew"
2011-10-08 [HeAVenShallBuRN]: *Flexes a bit* Shall I clean it off? 2011-10-08 [Orestez]: I'll get the others done later this weekend hopefully. 2011-10-09 [Bookwyrm]: Yaaaaay! <3's u Glen. 2011-10-09 [Stephen]: She looks artistic to me now, for some reason. 2011-10-09 [Bookwyrm]: ARE YOU IMPLYING THAT I AM NOT ARTISTIC? 2011-10-09 [Stephen]: No you will not! 2011-10-09 [Bookwyrm]: It tastes of marshmallows and lighter fluid. 2011-10-09 [Bookwyrm]: For a dragon it's super healthy. 2011-10-09 [Stephen]: I suppose.. but what if it like, makes you 'splode? 2011-10-09 [Bookwyrm]: It takes a LOT to make a dragon 'splode. 2011-10-09 [Morgoth]: What if a dragon exploded? And then... and then exploded again?! 2011-10-09 [Bookwyrm]: Lotsa dead goblins. 2011-10-10 [Bookwyrm]: I ALWAYS NEED SHINIES. The concept of no shinies is ridiculous and not worth conceiving. 2011-11-04 [Bookwyrm]: When I make new official graphics, I'll add in some different colored bullets too so we can use those. 2011-11-04 [Orestez]: I like this setup. Very streamlined and efficient. 2011-11-04 [Orestez]: Apathy is my weapon, lol. 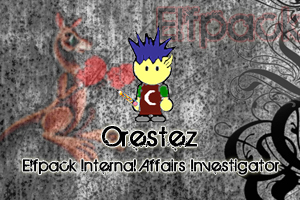 2011-11-04 [Stephen]: Orestez, the Elfpack Internal Affairs Investigation Team. 2011-11-04 [Stephen]: Haha, that looks epic. You really should put it in your house. 2011-11-05 [HeAVenShallBuRN]: I does I does! I should talk to Glen about the Tog Shop, actually. 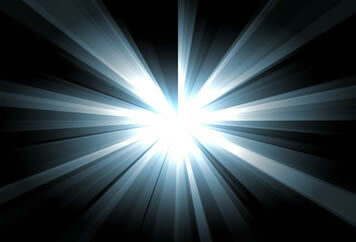 2011-11-05 [Morgoth]: When can we adoring fans expect to see [footer] unbanned? 2012-01-07 [kittykittykitty]: Apparently nobody does! 2012-01-08 [HeAVenShallBuRN]: What if I care?! 2012-01-09 [sammie h! ]: Please can you stop talking about my fiance, as this is impolite, I know what he has done in the past but that doesn't mean you can always have a dig at him, especially when he's not around much, that makes you look like chickens to others, as you won't talk like that to his face. 2012-01-11 [djxmonster]: Stop talking about me guys! 2012-01-11 [Morgoth]: The brief talking about him (which wasn't bad in the first place) quickly subsided. Was there a real need to tell people to stop a couple of months after they had stopped? 2012-01-12 [HeAVenShallBuRN]: *Pulls out a knife* [Stephen] hold him down! Its' time we neudered him! 2012-01-12 [Ringbearer]: I'd say we feminise him. Why just the balls? The dogs need more than two peanuts. Gives them a toothpick as well! 2012-02-22 [Ringbearer]: ANd if you're lucky she rubs your myspace! 2012-02-25 [sammie h! ]: *shakes fist* who said you can chuckle. *chuckles*. 2012-02-25 [HeAVenShallBuRN]: *blinks and smacks Sammie with a ruler* Back in the cage with you! 2012-02-25 [sammie h! ]: *doesn't move and clobbers jimmy with a plank* give your head a wobble! 2012-02-25 [Amalaswinta]: WOBBLE-HEAD JIMMY YAY! 2012-02-27 [Orestez]: Made a Guard Sergeant badge and replaced it as needed. 2012-02-27 [Hedda]: Hm... Testing too.